For those of us who love the purr of a finely tuned engine, and observing the looks of awe as you cruise past onlookers, there are a number of classic car drives that you can do, which will give you the opportunity to go to an amazing destination whilst enjoying the spectacular scenery en route. They say that the trip is just as good as the destination and this is certainly true for some of the drives that our country and continent have to offer. Whether you have bought your classic in perfect condition or have spent years engine tinkering, blast cleaning, chassis straightening, chroming or re-painting, it`s time to show it off and enjoy the fruits of your labours – or just the money that you have invested. So what are some of the best drives that you can do in your classic car? 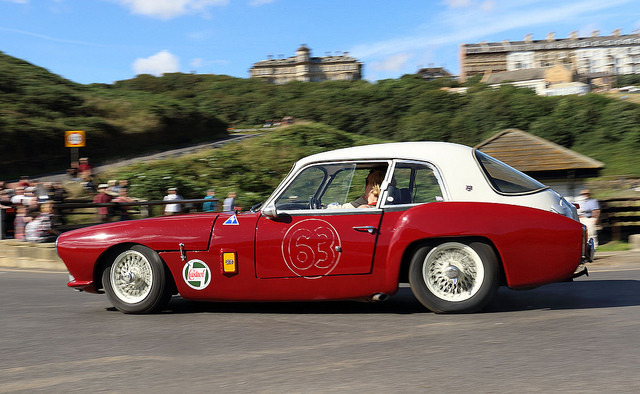 This is the classic, classic car drive – a trip from the UK to the 24 hour race of Le Mans in France. For those who are interested in anything vintage vehicles, this is a must and it is a drive which we love here at Rustybug. You can take the scenic route through the meandering roads of France’s beautiful countryside, or a more direct route using the autoroutes. Once that you have arrived in Le Mans, there is a feast of classic vehicles, preliminary rounds and then the big race. The drive between two of Scotland’s most famous lochs is a stunning drive through the twists and turns of Scotland’s Highlands, taking you past Britain`s highest mountain – Ben Nevis. The road – the A82 is one of Scotland’s most breathtakingly beautiful and the ideal way to enjoy the freedom of your finely tuned engine and smooth running classic car. For those who fancy a trip to the west country, the fabulous B3135 is only 14 miles long, but takes you along the awe-inspiring Cheddar Gorge. The Cheddar Gorge is only 10 miles from Bristol and 8 miles from Weston-Super-Mare and takes you along winding roads, cliff edges on both sides and some tight corners for added enjoyment. 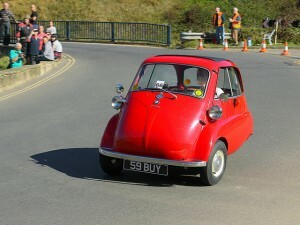 You can also visit south Somerset`s Haynes National Motor Museum for those who are really into all things car-related. The New Forest in the south of England has a plethora of stunning natural scenery as well as plenty of attractions for when you need a break from driving. You can meander through the New Forest National Park, stop off for a game of golf, wander around the Exbury Gardens, or, perhaps the pinnacle for classic car-lovers, pay a visit to the Footman James’s partner Beaulieu’s National Motor Museum with its interactional features as well as the FJ Start-up area and other exhibits. As a Yorkshire-based company, we are of course massive fans of our local countryside. The Buttertubs Pass is a 5.5 mile road between Thwaite and Hawes and is truly awe-inspiring. It also offers a little adrenaline rush as it takes you up and down steep mountains and corners which aren`t for the faint hearted. Make sure that you don’t take your eye off the road, but also don’t forget to take in the the stunning scenery along the way. 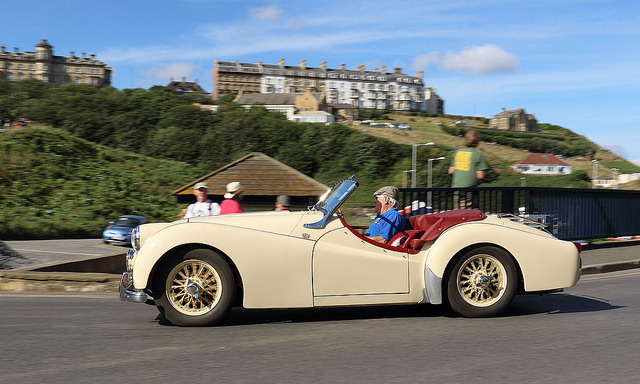 There is no better way to enjoy your classic car than by doing a classic drive. Whether you are looking for a long pilgrimage to the classic car Mecca – Le Mans, or just a short trip in the local countryside, there are many options for you. Here at Rustybug we are focused on turning your once bucket of rust into a beautiful classic car which will leave all who see it speachless. We are firstly classic car fans and take great pride in the careful restoration of your vintage vehicle. For more information about what we can do for your classic car, get in touch with us today.